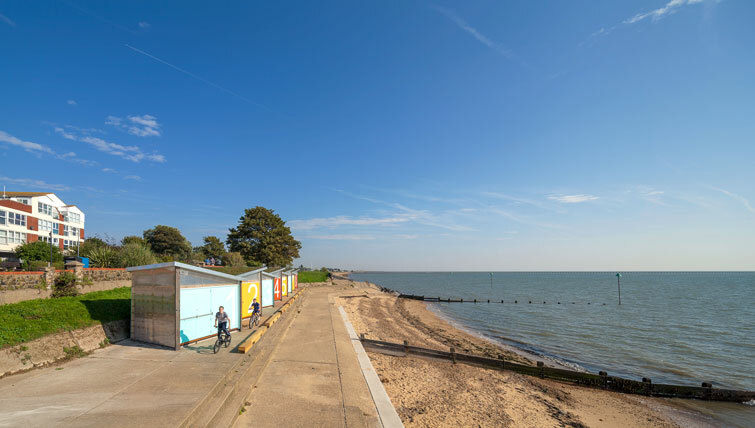 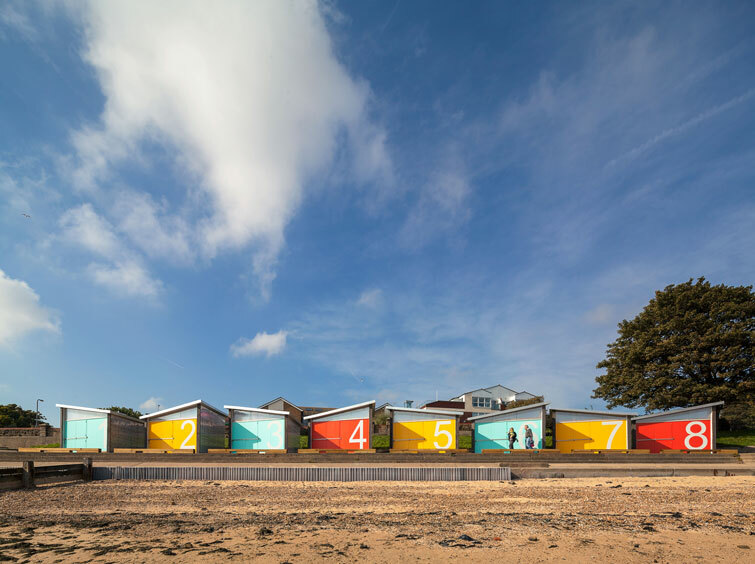 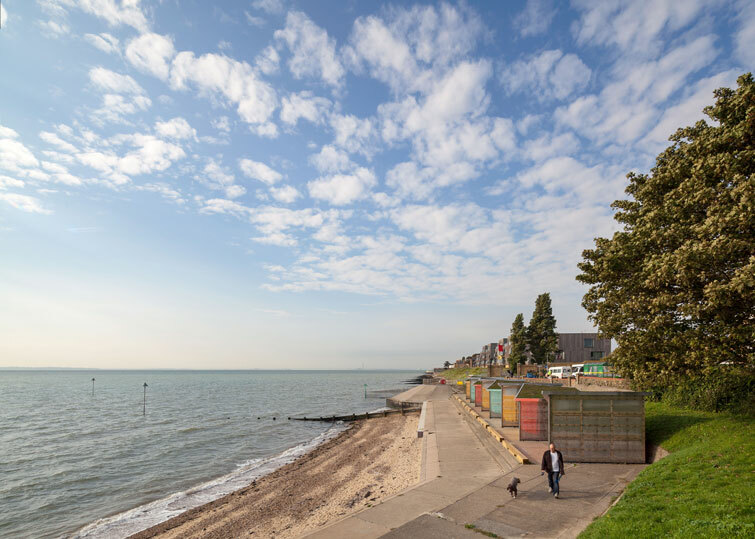 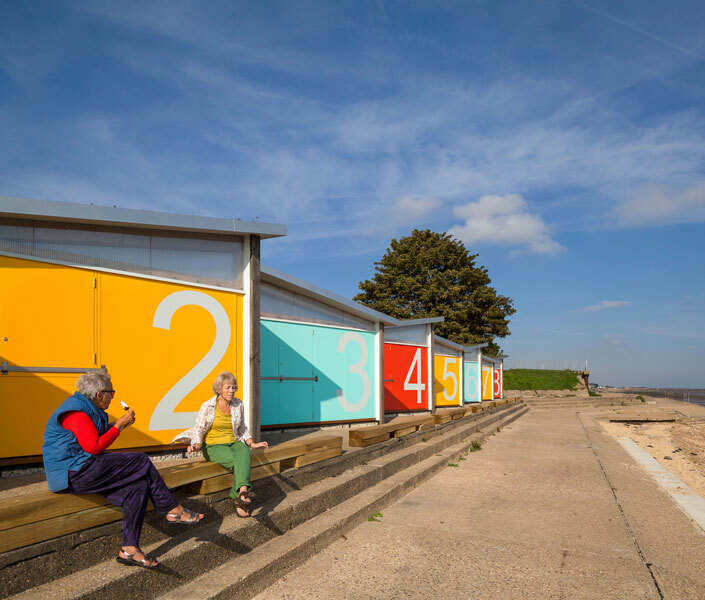 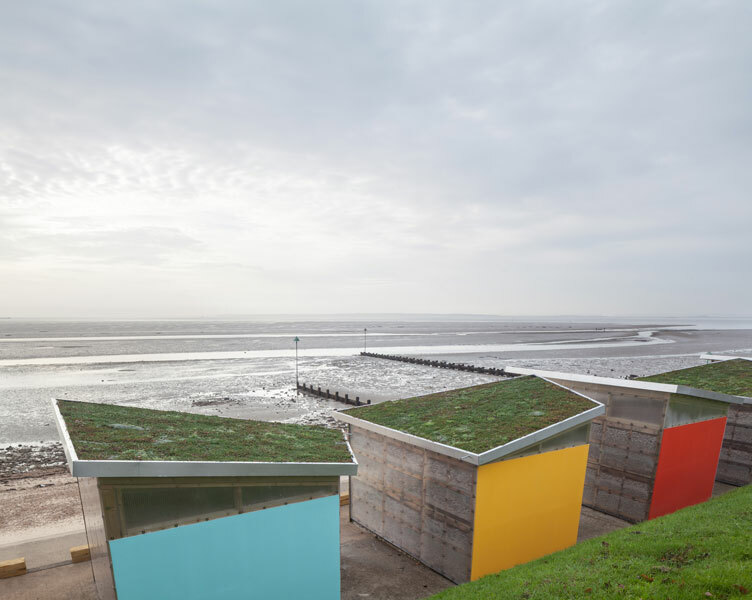 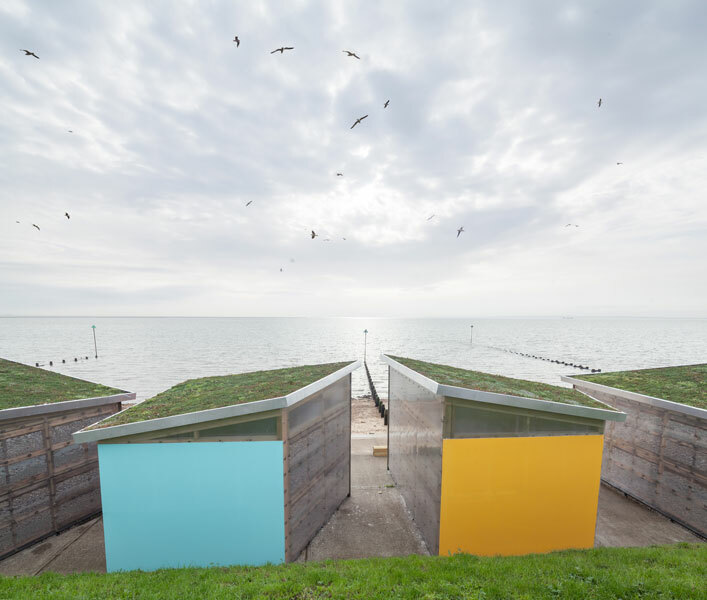 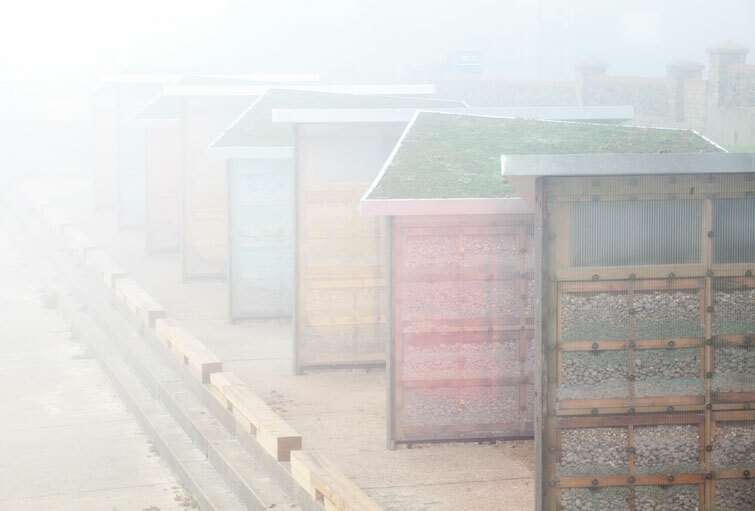 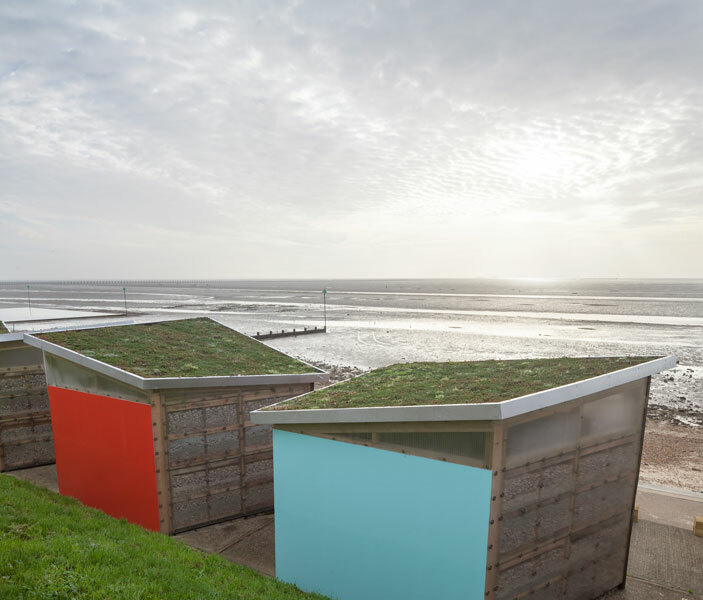 A set of beach huts by Pedder Scrampton, located on East Beach at Shoeburyness, Southend-on-Sea form an undulating roof profile seen from the approaching path. 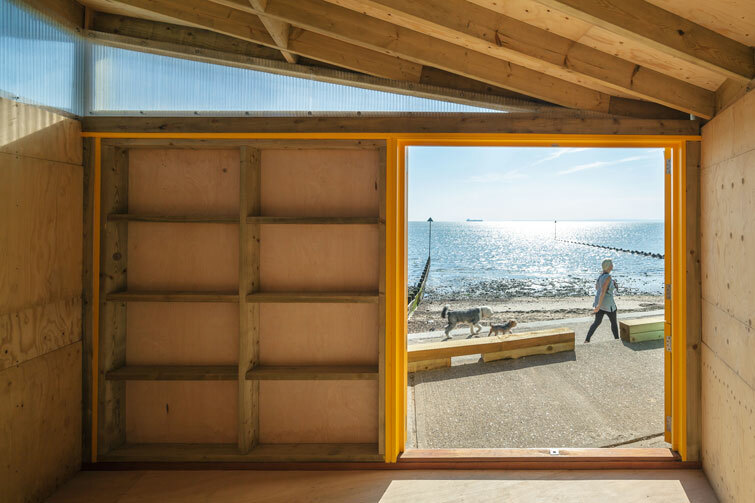 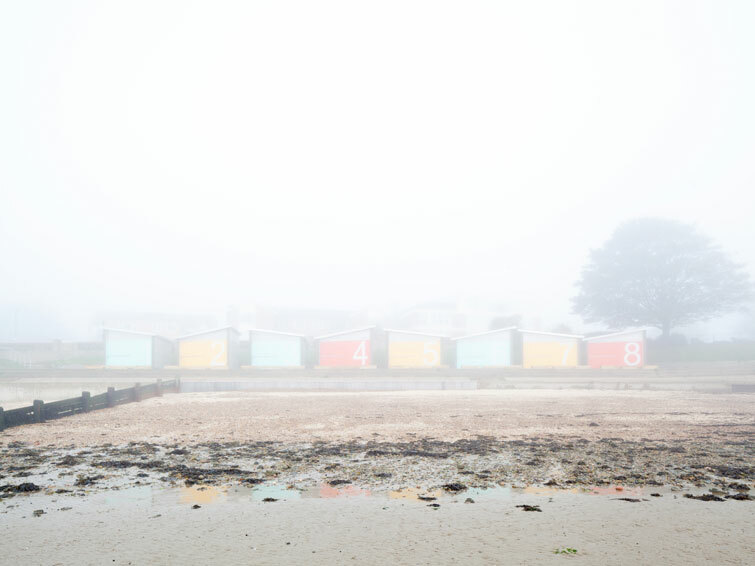 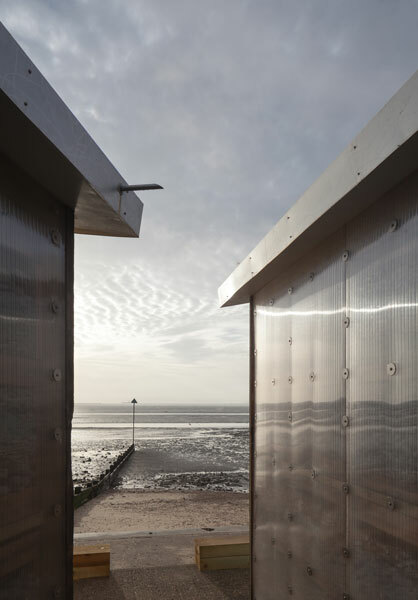 Gaps between huts give uninterrupted views of the sea from the upper promenade walk. 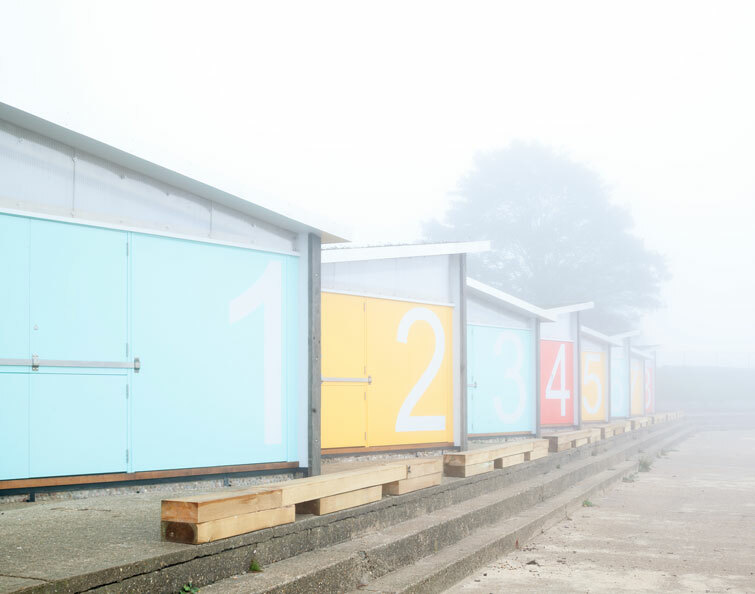 With the major components prefabricated off-site, the canted plan shape means that roofs are orientated towards the South with coloured doors and security shutters creating variety within a strong overall repeating form.